Athena Russell is no stranger to acting. Her career started when she was just ten years old. It all began in musical theatre. Young Athena had aspirations of working on Broadway. Realizing the acting bug early on she continued her passion with contributions to community theatre and later applied to attend an arts high school in Victoria. It required her to ride the bus for 1 ½ hours each way. After high school she attended a College for Performing Arts. It wasn’t until approx. three years ago that she finally stepped in front of the camera. She loved it immediately. Since then she has been busy working on multiple projects and even started a co-venture with Tiarra Sulyk. Together they co-created Bitchpop productions. Their mission statement is to promote, create and uplift female driven content. Together they have opened the flood-gates for women by providing opportunities otherwise not offered by larger production companies. Their last film Meltdown, recently won five awards including Best Film at the RUNGUN 48 hour film festival and was just accepted into the Barcelona Planet Film Festival and the Los Angeles Cinefest. I was fortunate enough to be able to watch a screener. The acting was impeccable and the cinematography masterful. 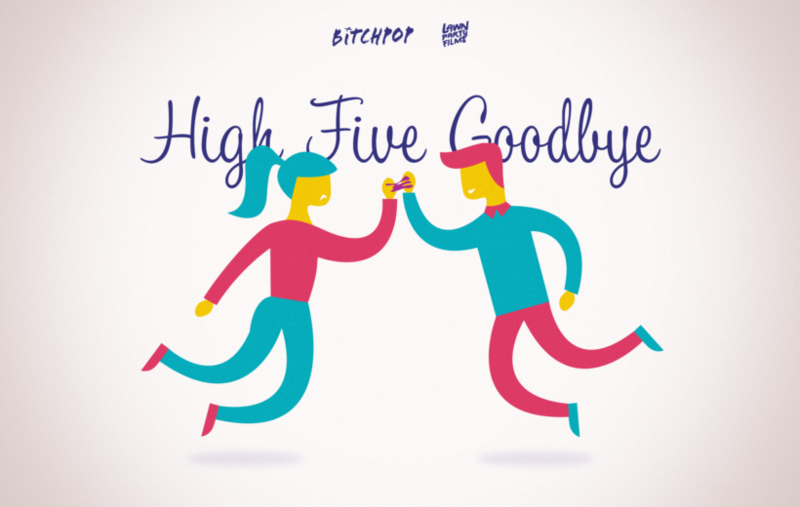 The film High-Five Goodbye is five minutes long and was created as a submission for the Canon Hi5 contest. Athena is a self confessed Rom Com junkie, so naturally she wrote a film that she would go watch. It is the only comedy in the contest. The premise is about two people that meet for a first date. After the date, the girl is interested in pursuing the relationship further but the young man doesn’t feel the same way. As a gesture of thanks, he offers a high-five to lighten the mood as they go their separate ways. As they do, a piece of ultra sticky gum fly’s through the air and lands between their hands sticking them together. Unable to break the seal, they are forced to spend the remainder of the day together and awkward hilarity ensues. One of the requirements of the contest was that it could only be five minutes long, it had to be completed within a week and had to have a high-five in the story. The submissions were narrowed down to five teams and each team leader had to take part in a weekend workshop to learn about the new Canon C100 camera. The films will be posted on youtube as of Nov. 28. The winner will be announced at the closing gala at the Whistler film festival on Dec. 4th. Other requirements in the submission include writing a 250 word synopsis, a bio on each character, a bio on the filmmaker and a social media strategy. Once the submissions appear on youtube it is all dependent upon the amount of thumbs up the film receives. 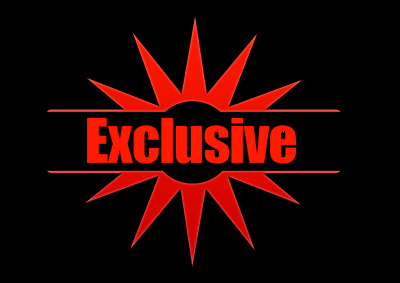 It is incumbent on each team to promote the film through word of mouth, facebook and Athena’s Bitchpop website. The more visible the film, the more potential for thumbs. The film will be captured on the Canon C100 and the team is only allowed to use ambient lighting, a Rode microphone and a tripod. Luckily, Athenas co-producer and co-director happens to be her boyfriend David Mussett and he just happens to work in the camera department on the TV series Legends Of Tomorrow. Together they rented a few Canon Sigma Prime lenses. The script was originally fifteen pages and was cut down to 8 1/8th. Killing your babies is never an easy task but the slaughter must go on for the sake of compatibility. The team managed to shoot the eight-page script in twelve hours. Because of the lighting restrictions, it was up to Athena’s DOP to work his magic. Kevin Rigney did bring his magic hat and pulled out a some brilliant shading, framing and the knowledge of using the surrounding light to best bring each scene to life. Because the Canon C100 is such an amazing camera capable of RAW capture, it also sports the Super 35 mm CMOS sensor and Canon DIGIC DV III Image Processor. The leader of the winning team will receive a Canon C100 deluxe package. Retail price is 6900.00. I think I know what I’m doing this time next year. In addition to writing, co-directing, co-producing, Athena also plays one of the leads April. Opposite of her date Ben, played by the extraordinarily talented Scott Paley. Other great actors lending their talents are Brandon Jason Miller who flew in from Calgary for the day, enchanting actress Stephi Chin-Salvo (best known for Supergirl and No Tomorrow. Tiarra Sulyk plays Stacey and Hannah Rochelle Burr plays Matilda. There are nine actors in total that perform their hearts out for the love of film. She felt so lucky having them all contribute their time and talent. The crew was composed of ten more volunteers that Devon knew from working in the industry. Athena is more than a great filmmaker, she also loves to pay it forward by sharing the wealth and exposure. She asked me to mention that the film High-Five Goodbye ws produced by Bitchpop Productions and Lawn Party Films. Other filmmakers competing in the contest are Krista Rand and Orsy Szabo with Authentic Kids, Sharai Rewels with Binary Lullaby, Joel McCarthy with Fathers and Sons and last but not least Michael Chen with The Moon & The Stars. We wish them all the best. See you at Whistler!